The Bipa is a stunning fiberglass pedicure spa that features a luxurious glass sink bowl. This sharp and modern pedicure spa is acetone-resistant and includes a protective gel-coating that guards the spa and sink from rust and corrosion. 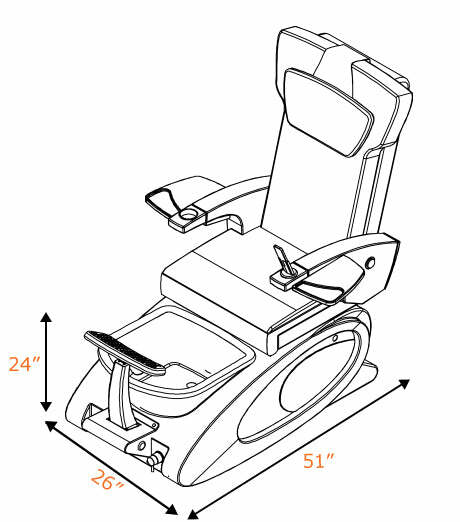 The Bipa features removable side panels, an adjustable footrest, polished chrome hardware, stainless steel shower hose, built-in LED color therapy light, FREE matching pedicure stool. 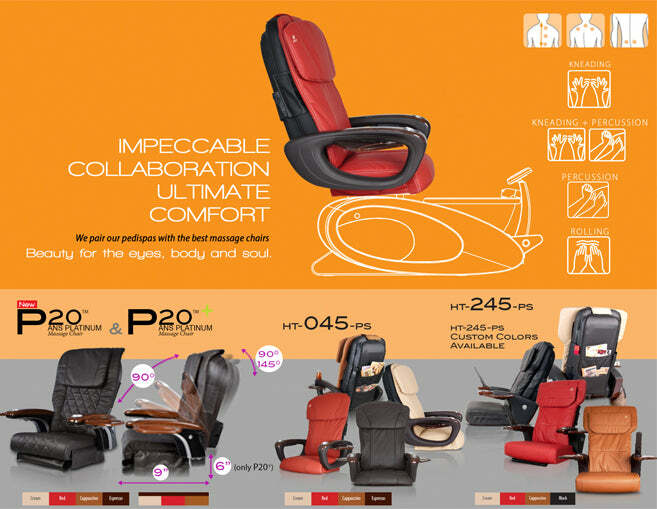 The Bipa also includes a premium ANS massage chair of your choice. Each Bipa includes removable side panels of the color of your choice. Choose from Cream, Cappuccino or Red Panels. Each Bipa includes your choice of one of our beautiful glass sink bowls. Our glass sinks are ¾ inch thick and feature sharp looks and impressive style. Polyresin bowls are available as a substitution for glass sink bowls. These economical bowls are a great choice for salons that prefer lightweight and cost-effective sinks. When choosing one of the polyresin bowls, the price of the spa is reduced by $200. 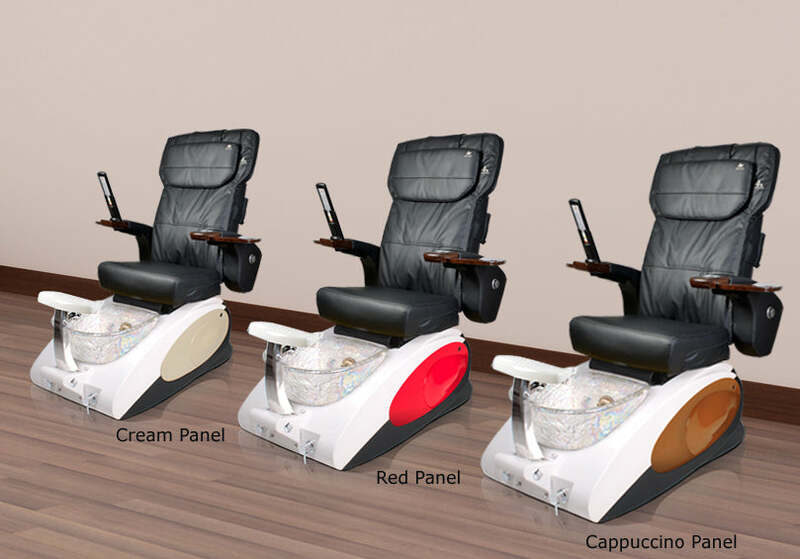 The contemporary Bipa Pedicure Spa is available in multiple custom-color options that make each spa exceptional and unique. The Bipa also includes a beautiful glass sink bowl of the color of your choice. 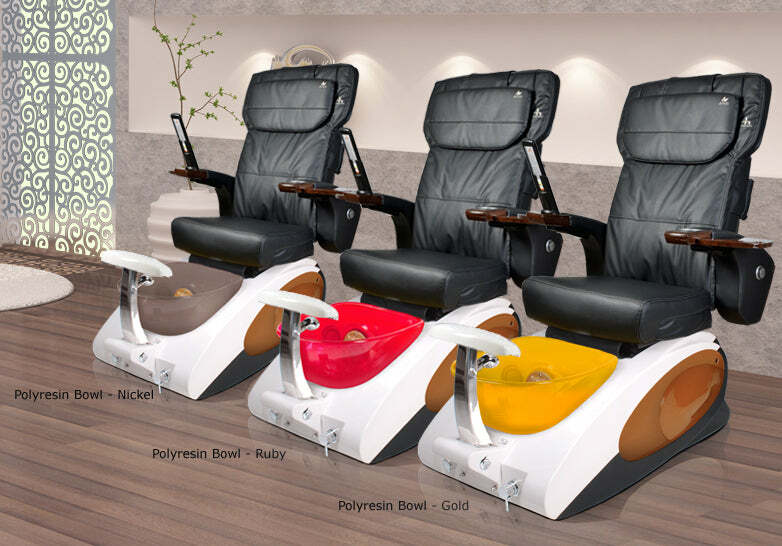 This luxurious pedicure spa is made with quality fiberglass components and is designed and assembled here in the USA. Each Bipa Pedicure Spa is ETL-certified for safety and is carefully tested by trained technicians before leaving our location. 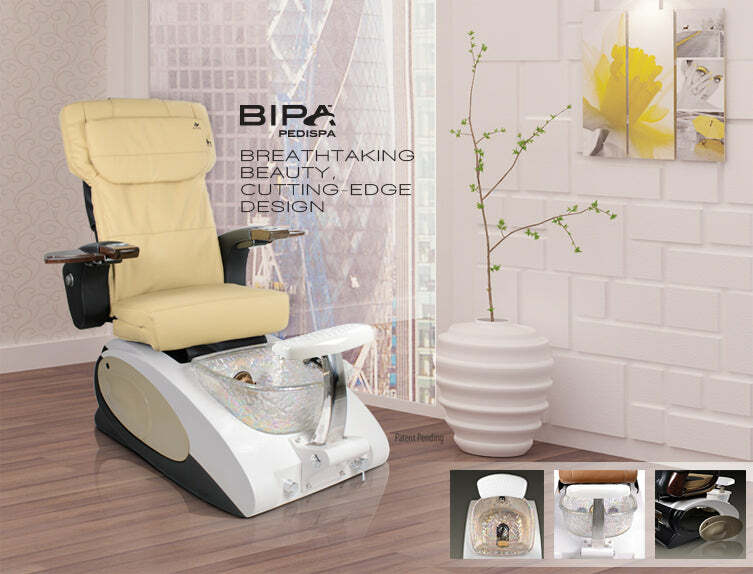 For convenience, the Bipa has removable side panels for easy access to the interior of the pedicure spa. Each pedicure spa also comes equipped with a powerful ANS Liner Jet that provides a soothing whirlpool effect with every pedicure service.